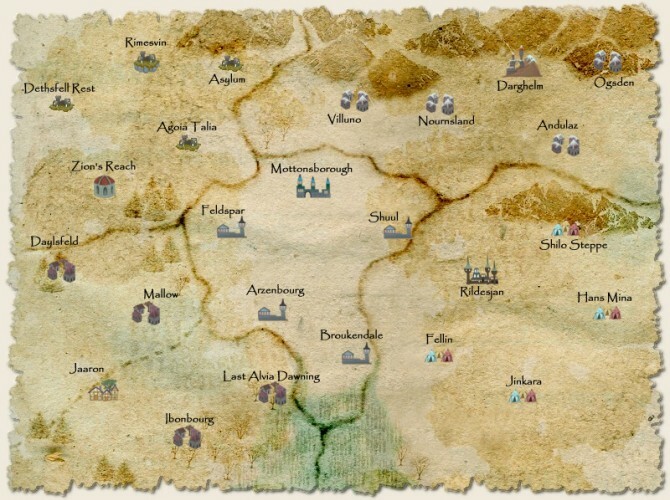 This is a basic map of the main cities and townships found in Muelsfell. When you start playing in Muelsfell, you begin in one of those cities. From your workshop base, you can explore the entire world if you wish, fighting monsters on the other side of the map, or you can remain close to your starting town and fight your local foes.